Dressing up as Santa isn't just for mom and dad. With this boy's Simply Santa costume, your child can get in on the fun and excitement of preparing for Christmas with you this year. It's perfect for holiday parties at home, school, church, or anywhere else, and its economy design means that you won't have to break the bank on a Santa suit that he'll just grow out of before next Christmas. And you're never too young to start volunteering and helping to make the holidays more special for those who are less fortunate. 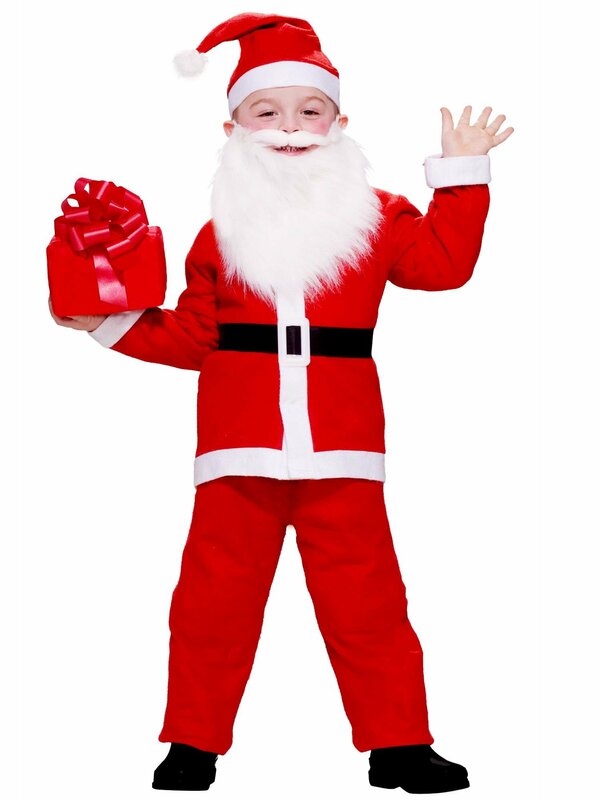 The costume comes with a red Santa jacket with white trim, matching hat and pants, and a black belt with a silver buckle. Add a child sized Santa beard and mustache set and let the holiday fun begin!